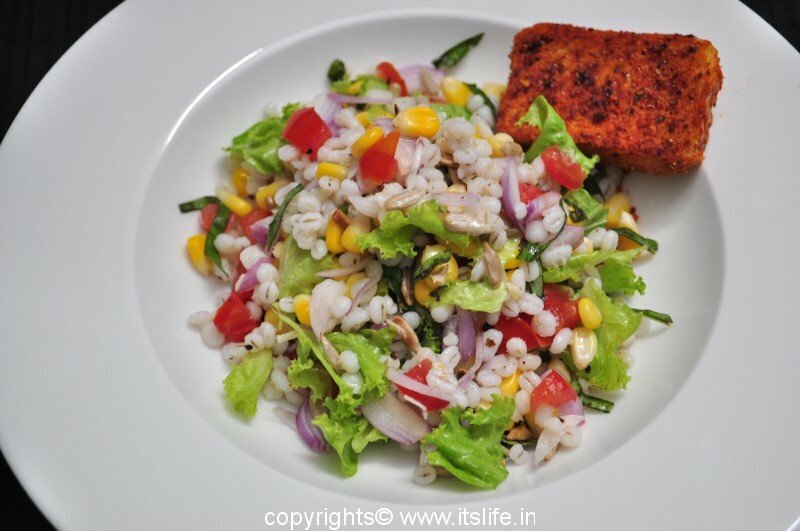 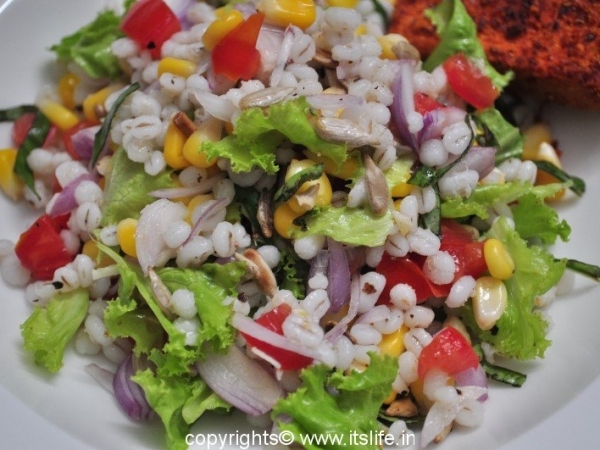 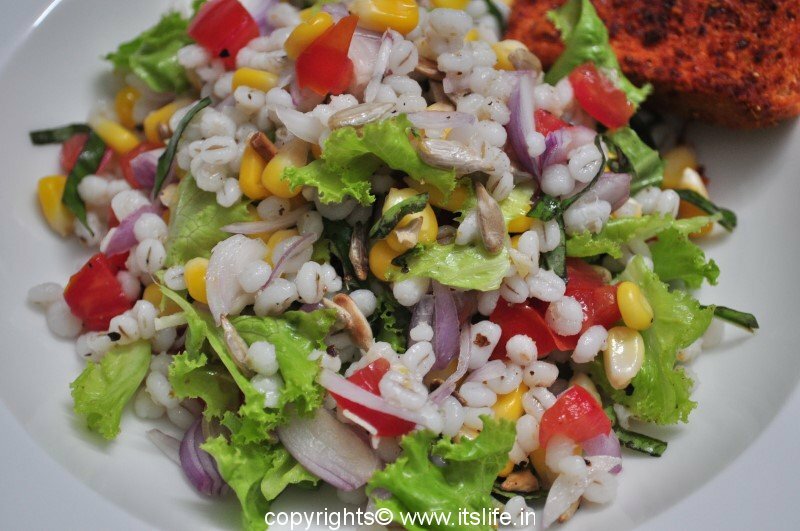 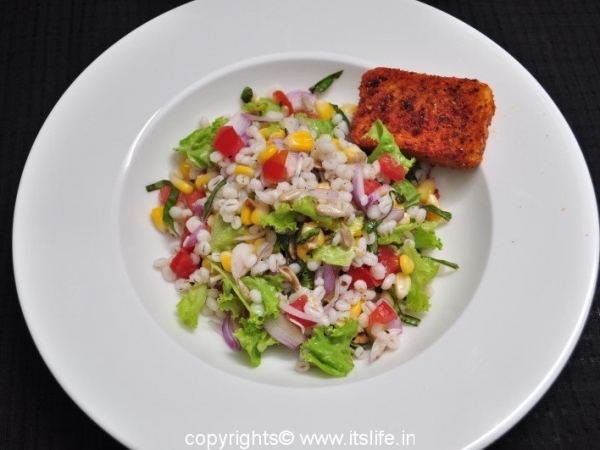 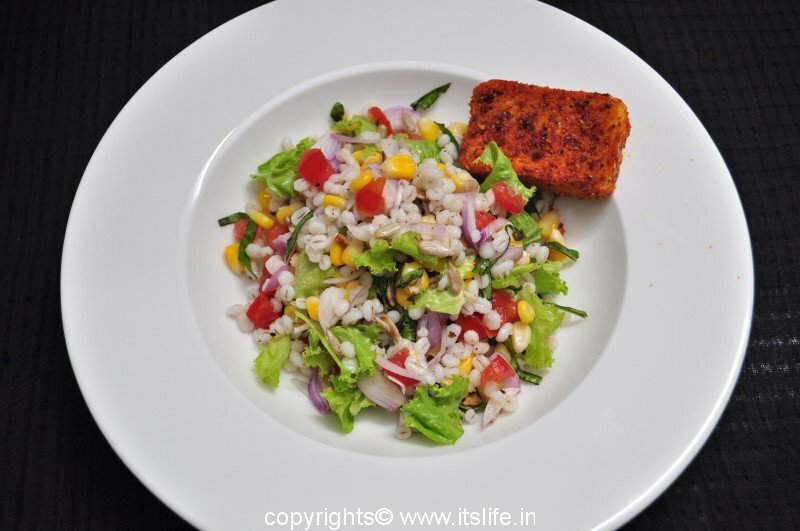 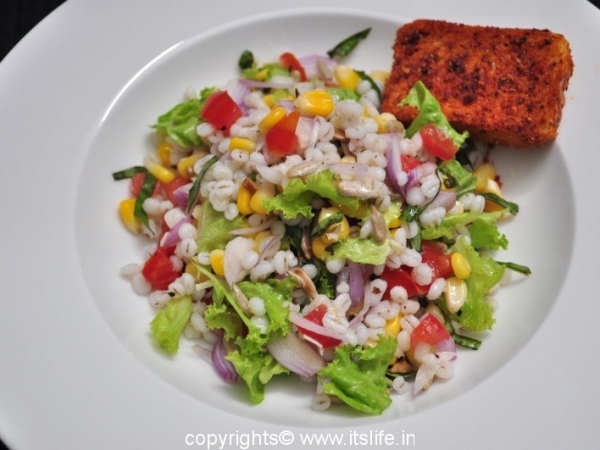 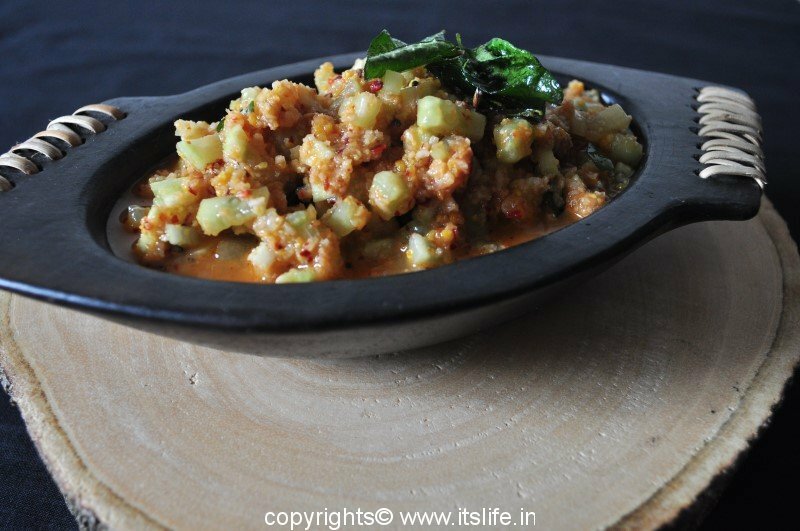 Barley Summer Salad is a complete meal to cool the body during summer. 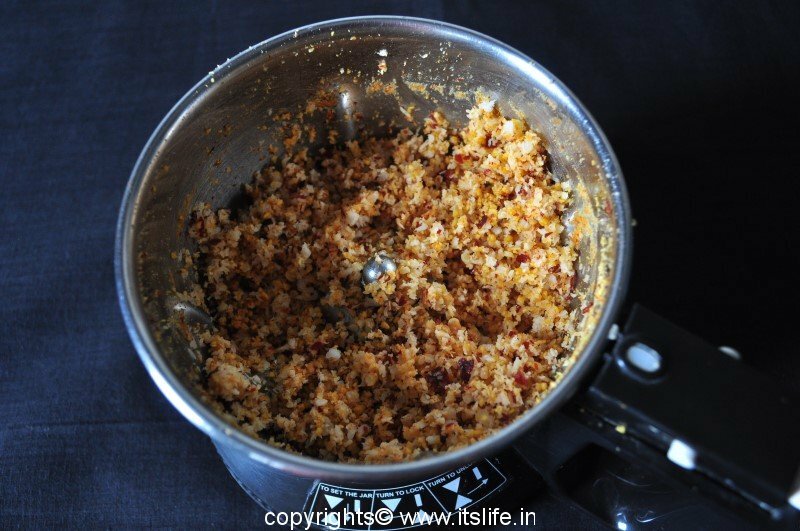 Mix Olive Oil, Lemon, Garlic, Pepper and Salt in a cup and keep aside. 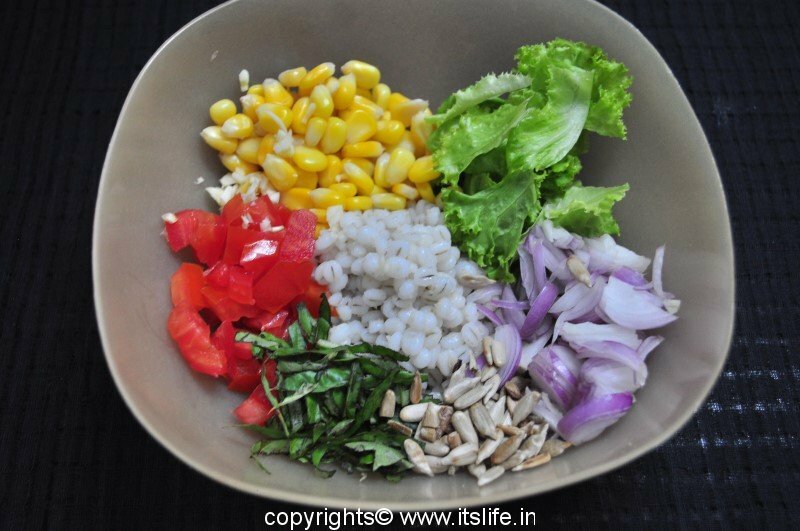 Add all the other ingredients in a salad bowl. 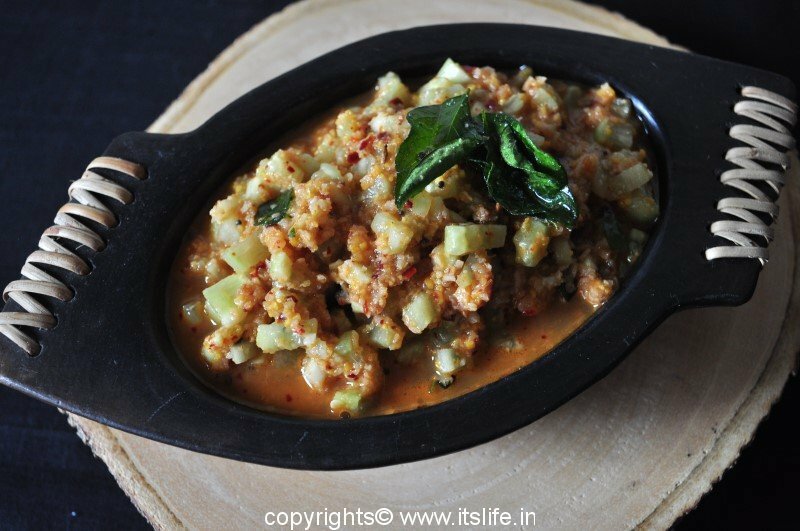 Toss gently. 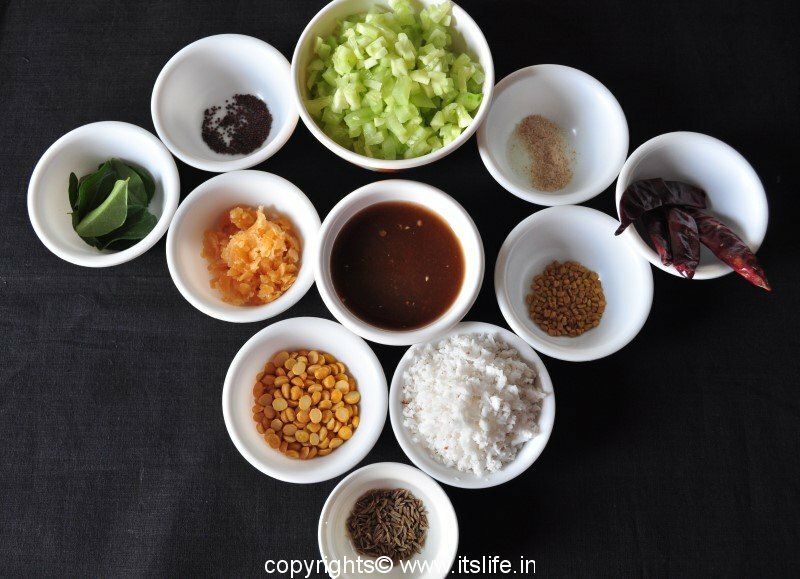 Add the dressing and mix well. 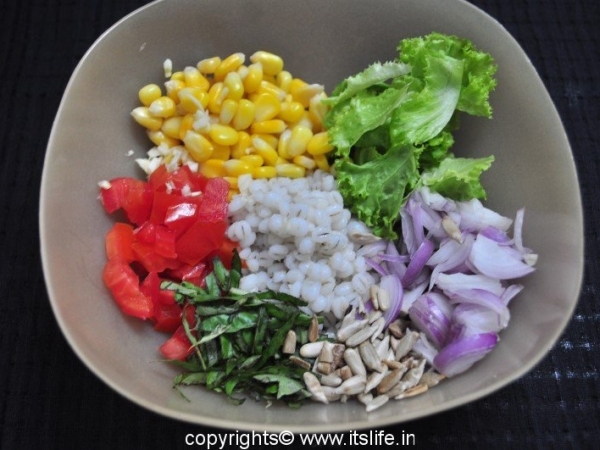 Chill the salad for half an hour and serve.